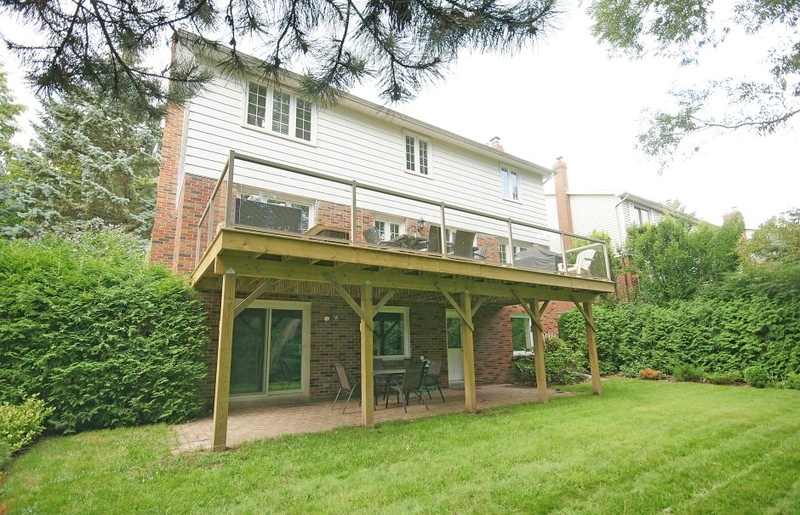 Absolutely stunning home on quiet street backing onto creek and Ravine. This great home has been remodeled top to bottom displaying a high level quality of finish. From marble floors and crown molding in the foyer to black walnut hardwood floors throughout the dining room, kitchen and family room. The kitchen features new custom cabinetry, granite counters, ss appliances, eat in area and open concept to family room with wood burning fireplace. The main floor also features a butlers pantry, walk in pantry and mudroom. Upstairs the hardwood continues t/o the second floor hall and into the master which features a walk in closet, spa -like ensuite with heated marble floors, seamless glass shower, rain shower, body sprays, stand alone tub, custom vanity with marble counter top and double sinks. The lower level features a full walk out, bar, 2pc bath w/ heated floors, rec room and lower level laundry with custom cabinetry, heated floors and tv! Must see to appreciate!